With solid pitching and a timely pinch-hit from 買嘉儀 (Mai Chia-I), the Uni-Lions came back from behind and took Game Two of the 2018 Taiwan Series by defeating the Monkeys 4-2. “Our starting pitcher Josh Roenicke did an outstanding job tonight, and the plan of using Andy Van Hekken as a long relief turns out well for us in the end,” said the Uni-Lions manager Huang Kan-Lin. Both the Uni-Lions’ foreign pitchers pitched a solid game tonight, combining a total of eight innings with two runs. Starter Josh Roenicke struck out five and gave up two earned runs over six innings of work. Andy Van Hekken followed with a flawless two innings and retired the six batters he faced. On the Monkeys’ side, the starting pitcher Michael Nix was a bit wild with his command, but despite issuing five walks, Nix was able to contain the damage and pitched six scoreless innings with eight strikeouts. With an RBI double in the fourth and a solo home run in the fifth, the Monkeys quickly jumped on the scoreboard with a 2-0 lead. The Monkeys managed to hold that slim lead until the top of the seventh when the Uni-Lions’ Su Chih-Chieh went deep with a solo shot. In the eighth inning, with a single followed by two walks, the Uni-Lions suddenly found themselves in a one out, bases-loaded situation. It was up to Su Chih-Chieh, who homered in his previous at-bat to become the hero of the day. However, Su struck out swing on a low changeup. Down on their final chance to score, the Uni-Lions called upon Mai Chia-I for pinch-hit duty. 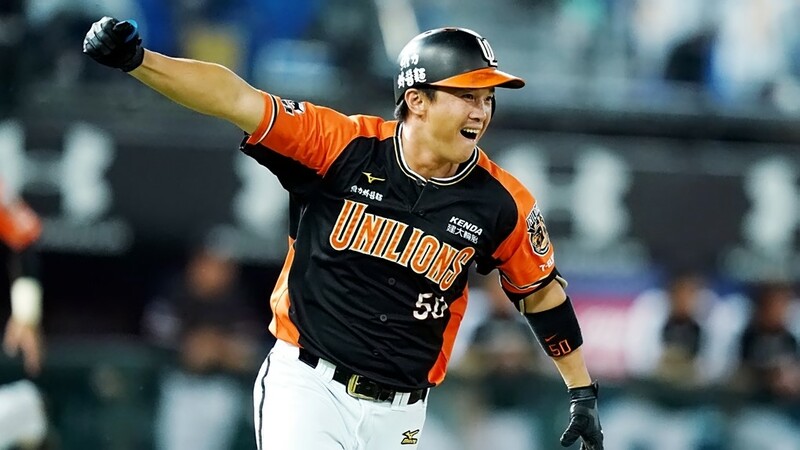 Although, Mai who spent most of his 2018 in the farm team and only had 22 at-bats in the first team this season, he stepped up and put the Uni-Lions ahead with a 2-RBI single. The Uni-Lions were able to add another insurance run in the top of the ninth with three singles and making it a 4-2 lead. In the bottom of the ninth, the Uni-Lions’ closer Chen Yun-Wen went out there and got the job done. In only 15 pitches, Chen slammed the door on the Monkeys and struck out two in the process. With the win at Taoyuan tonight, the Uni-Lions have reduced the gap to 2-1 in the best-of-seven Taiwan Series. Game 2 #TaiwanSeries #LamigoMonkeys (2) #桃猿 vs #unipresident7elevenlions (4) #統一獅 #cpbl@JroPrimetime on the mound for the Lions.